CarGurus recently selected the 2014 to 2018 INFINITI QX60 as the Best Used Car with a score of 7.25 out of 10. “We are thrilled that CarGurus named the INFINITI QX60 the best luxury crossover and acknowledged its lasting value and quality. INFINITI is proud to have an excellent Certified Pre-Owned program and that our vehicles continue to perform like new throughout their lifetime,” said Jennifer Moser, Director of Pre-Owner Strategy and Sales, INFINITI USA. The INFINITI QX60 is both luxurious and practical. 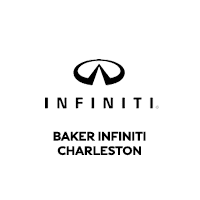 Test drive a new or pre-owned INFINITI QX60 today at Baker Motor Company in West Ashley.